The vote caps 14 hours of debate and public comment at the council, which had to decide how to spend motel/hotel taxes that will be freed up starting in 2021. A divided Metropolitan King County Council gave final approval Monday to spend $135 million in taxpayer funds on the Mariners ballpark despite objections that the billion-dollar company could pay for its own needs. The 5-4 vote was largely academic after the council had already voted the same way during a committee meeting on the funding earlier this month. But it ends a saga that began in May when the Mariners tentatively reached a new 25-year lease with the Public Facilities District that oversees the ballpark. The team said it would only sign the lease if the council approved County Executive Dow Constantine’s proposal for $180 million in public funds to fix wear and tear at the 19-year-old stadium. The council knocked down the funding amount to $135 million after public criticism, which included heated meetings where dozens of housing advocates argued the funds would be better used on affordable housing. Ultimately, money for housing was beefed up in council negotiations, at the expense of funding for general tourism promotion, which could hurt local businesses that rely on visitors. The vote went exactly as it did during the Sept. 5 committee meeting: Casting ballots in favor were council members Joe McDermott, Reagan Dunn, Kathy Lambert, Claudia Balducci and Pete von Reichbauer. Voting against were council members Larry Gossett, Jeanne Kohl-Welles, Dave Upthegrove and Rod Dembowski. Council members had debated the issue and held public comment over a total of 14 hours across four hearings in the last two months. The Mariners have said the team expects to sign a long-term lease once the funding is approved, despite the allocation’s being less than what the team wanted. The team’s current lease expires at the end of this year. “We can now move forward with finalizing a lease agreement with the PFD that ensures Safeco Field continues to be a first-class ballpark, community asset and economic engine for our region for generations to come,” the team’s statement said. It marks the second time significant taxpayer money will go toward helping the Mariners. King County voters rejected funding for a new stadium in 1995, but the state Legislature approved taxes for construction anyway. Taxpayer funds ultimately financed 72 percent of Safeco Field’s $517 million cost. 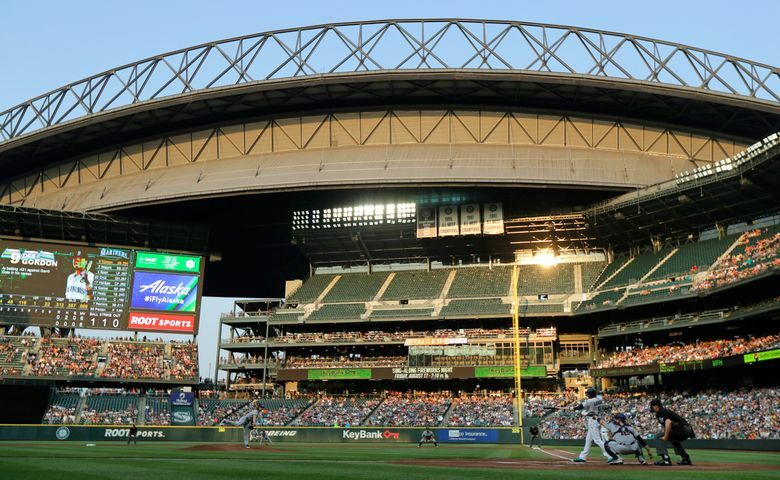 The Mariners have noted that the team will finance the vast majority of the maintenance, fixes and upgrades at the ballpark over the next quarter century – a total bill expected to cost the team $680 million. The team and the council members supporting the funding have argued that taxpayer funds are appropriate for the stadium because it is publicly owned, and the team draws in visitors that help drive up motel/hotel tax revenues. The funding for the stadium is coming from motel/hotel tax proceeds that will be freed up once bonds for CenturyLink Field are paid off in 2020. Opponents said the team, which is worth $1.45 billion and is owned by billionaire John Stanton, could afford the fixes themselves, particularly since the vast majority of revenues generated by the stadium go directly to the team. Use of the motel/hotel taxes revenues is restricted by state law: Of $1.3 billion expected over the next quarter century, 75 percent must be split between housing and the arts, while the remaining 25 percent can be spent on tourism promotion, housing or the arts. Ultimately the council chose to divvy up the discretionary funding fairly evenly between housing and the ballpark, leaving only $8 million for tourism promotion. The four council members who opposed the plan had wanted instead to allocate $25 million to Safeco Field for basic maintenance. They also wanted to put the issue on the February 2019 special ballot as an advisory measure, but that proposal was voted down, as well.